A core mission of the 9/11 Tribute Center is expanding education on 9/11 worldwide. 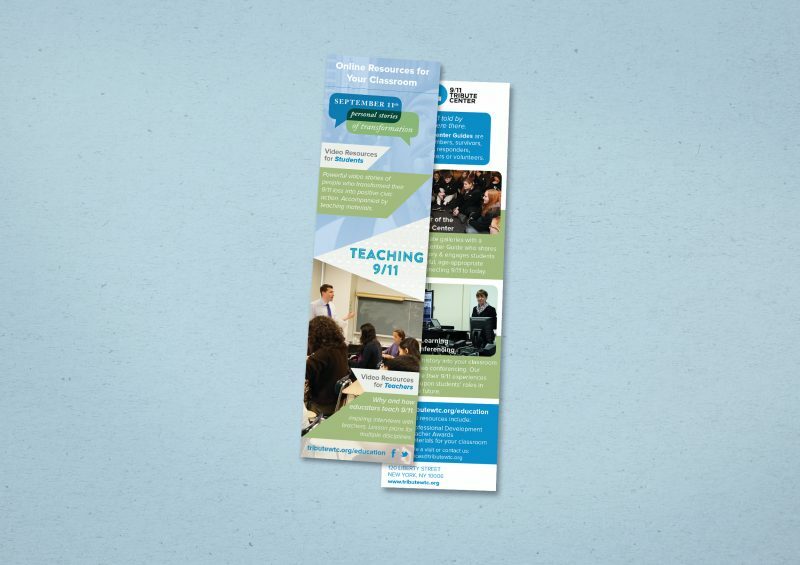 To promote their education programs and online resources, I designed a friendly bookmark. I used dynamic shapes and on-brand graphics to make a memorable design.